A coalition of U.S. aquariums, including the Chattanooga-based Tennessee Aquarium, is doubling-down on its attempt to drastically reduce the use of plastics straws and other single-use plastic. The Aquarium Conservation Partnership, consisting of 22 aquariums in 17 states, is asking 500 more restaurants and businesses to pledge to offer straws only upon request as part of its "#FirstStep Campaign." The coalition, which launched in 2017, already has commitments from other businesses including United Airlines, the Chicago White Sox, Dignity Health hospitals and Farmer Brothers Coffee. 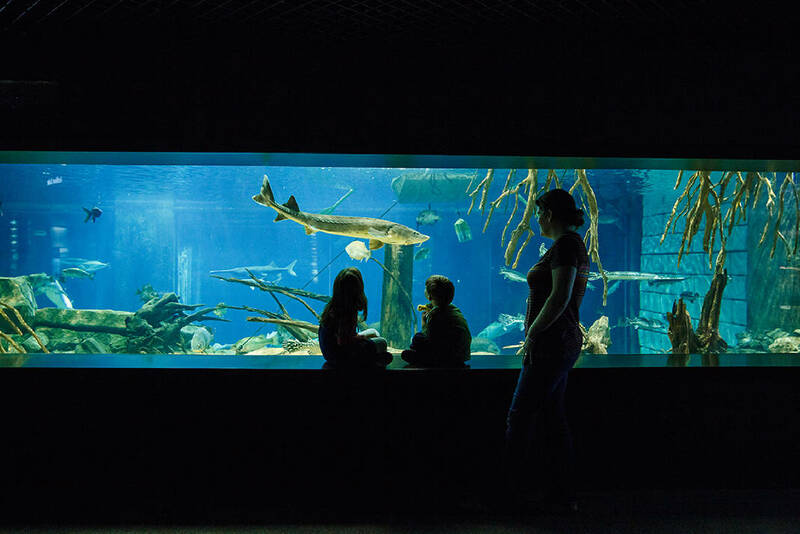 "We're trying to send out a really positive message that the things you do can make a really big difference," aquarium Director of Science Education Brooke Gorman said. "One of the things that can really make a difference is if restaurants aren't just automatically handing you a straw but saving them for the people who ask for them." Partnership companies have eliminated more than 5 million straws per year, and some have stopped using plastic shopping bags and committed to reducing or eliminating plastic beverage bottles by 2020. In addition to businesses, the partners are seeking online pledges from individuals interested in reducing their use of straws. About 500 million straws are used daily in the United States, according to estimates from both the U.S. government and environmental groups focused on reducing single-use plastics. Most recycling centers do not accept straws, meaning the plastic often ends up in streams through storm drains or in landfills. The partners believe reducing straw use is a logical and easy first step society can take to tackle plastic pollution. "The health of our lakes and rivers is important not only to the wildlife that live there — they are a recreation and economic resource for us all," said Bridget Coughlin, president and CEO of partnership member Chicago's Shedd Aquarium, in a statement. "Beyond inspiring the public to take action, it's our duty to empower businesses and community leaders to raise the issue of plastic pollution taking place in both freshwater and marine habitats, lead by example and make long-lasting, impactful change." Straws are a small piece of the much larger problem of single-use plastic. Microplastics are filling rivers and oceans, and the impact of that is still not fully understood as studies are still in their infancy. Locally, microplastic has filled the Tennessee River at an alarming rate. The most comprehensive study on surface pollutants in the Tennessee River's history was completed last month and found the river has 80 percent more microplastic than China's Yangtze River — which a study found to be the source of 55 percent of all river-born plastic entering the ocean — and 8,000 percent higher than the much more heavily populated Rhine River in Europe. "The concentration of microplastics [researcher Andreas] Fath recorded was alarming, especially considering that his team was only sampling the water closest to the surface," said Anna George, the Tennessee Aquarium's vice president of conservation science and education, via a statement. "Based on this information, we believe there are even more particles along the riverbed where the heavier plastics would end up." In response, the aquarium has promised to continue researching the impact of plastic pollution on the health of the environment and take steps to reduce waste. The aquarium has switched to recyclable paper straws and is encouraging other businesses to do the same or drastically reduce their use of plastic straws.